Three chocolates is a seriously tasty way to start a day. Or make a really nice afternoon pick-me-up snack. These scones sound hearty and delicious! These scones have my name written all over them. Triple chocolate? Yes please! Oh wow! 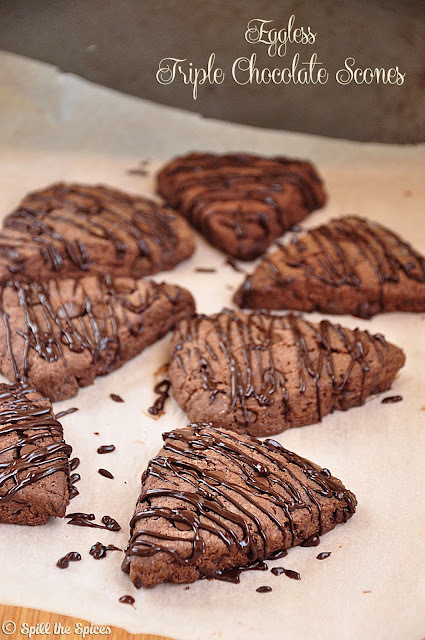 Love the idea of chocolate loaded scones! What a perfect tea time treat they will make!! Thanks so much for taking part in this event! These scones look amazing, Sona! Love the way you have drizzled chocolate on these scones. Yum! Congratulations on #350 and it is a good one. 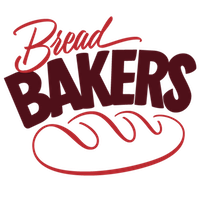 a killer recipe for the landmark post !! keep them coming .. congrats .. The scones look absolutely delicious.. 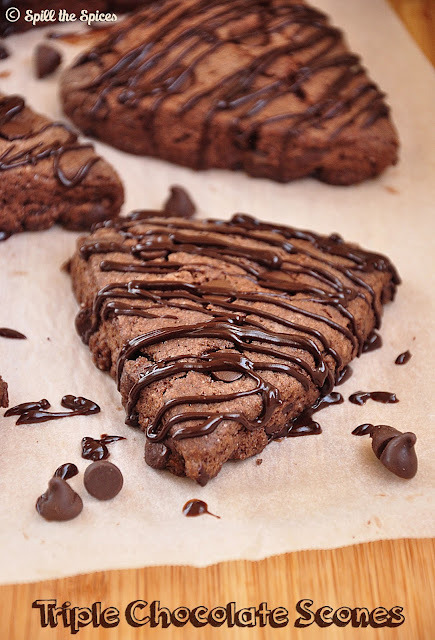 Triple chocolate? I'm in!! These sound amazing. 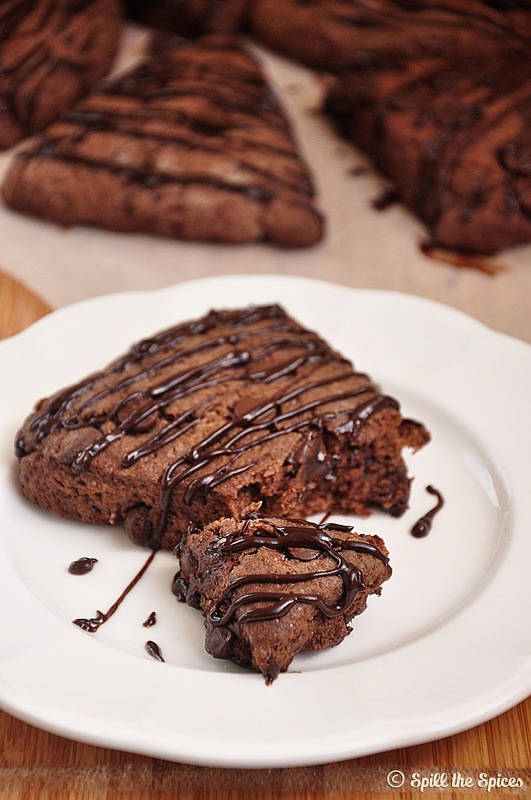 Wow your triple chocolate scones look absolutely irrestitible. Sooooo yummy!! Congrats on your 350th post. These scones look so yummy. I've got guests for a tea this week and some don't eat eggs, so I guess these scones would be perfect. Please share what is buttermilk i really wanna try.. U mentioned thick buttermilk is it any different?? Sorry for the delay in replying. Buttermilk is the liquid left over after extracting butter from cream/malai. To make buttermilk at home, take 1 cup of milk and mix 1 tablespoon of lemon juice, and let it sit for 5-10 minutes. Or you can dilute thick yogurt with little water.